While the New Year (based on the earth’s orbit) has come and gone, don’t count out the Chinese New Year, which goes off of the Lunar Calendar. For some, this is one of if not the biggest celebration. For others, this is a chance to enjoy the New Year celebration—should you have missed the reining in of January 1, 2018 or you just want cause to celebrate more. And, to kick off the New Year celebrations, be sure to check out apartments for rent in San Pedro CA. According to Thought Co., there is no one specific story of how the Chinese New Year came to be. However, there are a few details that seem to be in every story. Legend has it that there was a monster named Niam that was attacking a village. To prevent the monster from continuing to torment the village, an old man instructed the villagers to scare off Nian by making loud noises using drums and firecrackers. The man also said villagers should hang up red paper cutouts and scrolls on their doors since Nian was afraid of the color red. So, listening to the old man’s wise words, the villagers did just that. And, it worked. Fearing the color read and noise, Nian went away—and, there you have it, the Chinese New Year was born. So, based on this story, it would make sense why there are parades with Nian. And there are red paper cutouts, fireworks, and the banging on drums. Also, this is time people give and receive red envelopes from parents, grandparents, friends and relatives, employees, acquaintenances, etc. The receiver always receives the red envelope with two hands to show politeness, and only opens the envelope when he or she is at home. When Does the Chinese New Year Take Place? Unlike the New Years as most Americans know it (which comes on January 1), the Chinese New Year is based on the lunar calendar. In which case, the upcoming New Year falls on Friday, February 16. The Chinese New Year not only follows the lunar calendar but also cycles through the 12 zodiac signs: dog, dragon, rooster, goat, tiger, horse, ox, rat, snake, rabbit, monkey, and pig. Supposedly, anyone born in the year of the dog is said to be communicative, serious, and responsible with work. 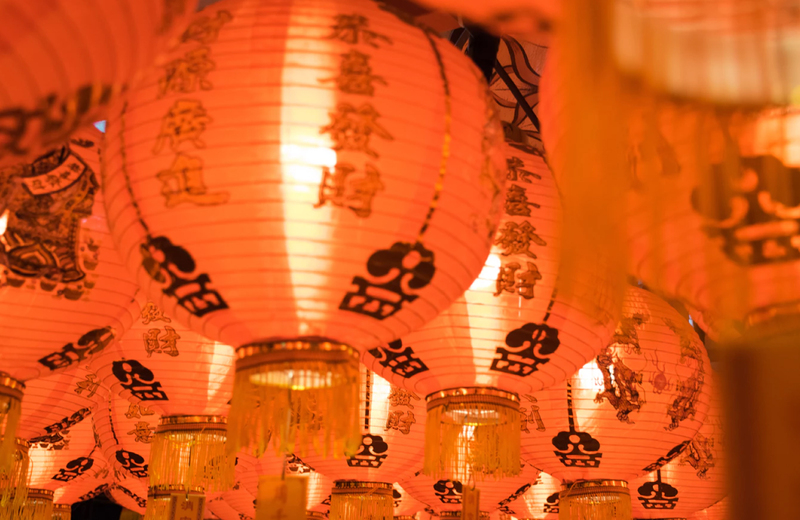 Where Can You Experience the Lunar New Year Festival? For all of you who live around or close to the Los Angeles waterfront, you can celebrate the Lunar New Year Festival on Saturday (February 10) at the Port of Los Angeles. The festivities will go from 3 to 7 pm. According to the LA website, festivities will be held indoors at CRAFTED; this is a free community event; everyone is welcome. Besides the indoor celebrations, look forward to traditional dancers, petting zoo, face painting, arts & crafts, brush artistry, calligraphy…and a surprise finale. This is the most important holiday in China. For those with Chinese ancestry, this holiday is still celebrated and can still be lauded as such. For those who may not have grown up celebrating the Lunar New Year, why not start now? It not only is a great cultural experience but can also symbolize the start to the New Year and all you want to accomplish in 2018. For those of you who may have slacked on your New Year’s resolutions for January 1, 2018, this is a chance to start off with a clean slate and re-evaluate and go after those goals. It is familial holiday where family and friends pay their respects to one another, giving and receiving red envelopes and spending time with one another. It doesn’t get any more worth wild than that. The Lunar New Year is a time to reflect on last year, thinking about your accomplishments and mistakes. What did you succeed at? What were some highlights of 2017? What do you want to change to avoid making that same mistake again? Now, going forward in 2018, what are some of your goals? What do you want this year to look like? How are you going to make that happen? Overall, the Lunar New Year is a time to celebrate, enjoy family and friends, and look forward to 2018. If you have never celebrated the Lunar New Year before, now is the time to make that change and do it. Show your friends, family, and loved ones that you care by giving them red envelopes, and make sure that you mark the Lunar New Year on your calendar. As mentioned, if you are around the LA area on February 10, be sure to check out the (Fourth) Annual Lunar New Year Festival on the LA Waterfront. If you are not from or will not be around the LA area and still want to celebrate the Lunar New Year, go to your county or city’s webpage for Lunar New Year celebration information. Considering Apartments for Rent in San Pedro CA? With the start of the Lunar New Year, now is the time to think about apartments for rent in San Pedro CA, especially The Vue. The Vue floor plans range from one to three beds. Amenities include 24-hour concierge, yoga and Pilates studio, access to the business and conference room, resort-style pool and cabanas, state of the art fitness center, sky lounge and roof terrace, clubhouse, and media lounge, and much more. As far as residential amenities go, tenants will enjoy ocean views, imported flooring, stacked washer and dryer, upgraded cabinets and appliances, floor to ceiling windows, and more. Whether you are actively searching for apartments or simply keeping your eyes open, contact us and book a free tour today. Also, while you are at it, if you have any comments or questions, call or email us, and one of our helpful staff members will assist you.